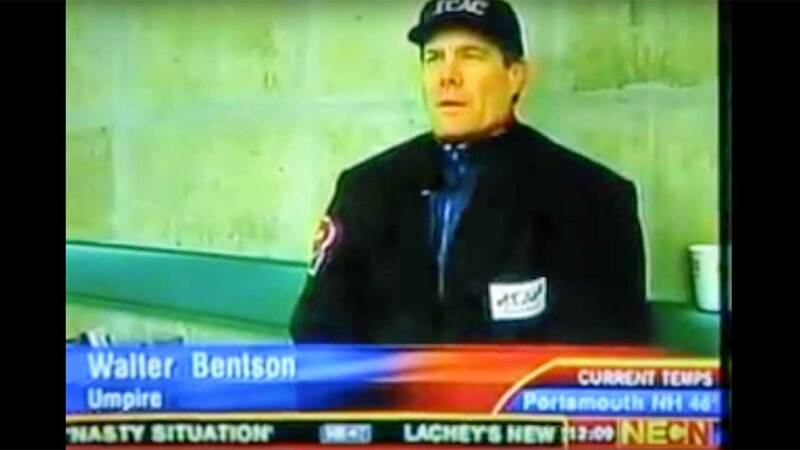 Beginning Saturday, April 22 and concluding Sunday, April 23, the 3rd Annual 100 Innings of Baseball was played at at Fitton Field in Worcester, MA – home of the Worcester Tornadoes & Holy Cross. The game lasted 100 innings, about 31 straight hours. 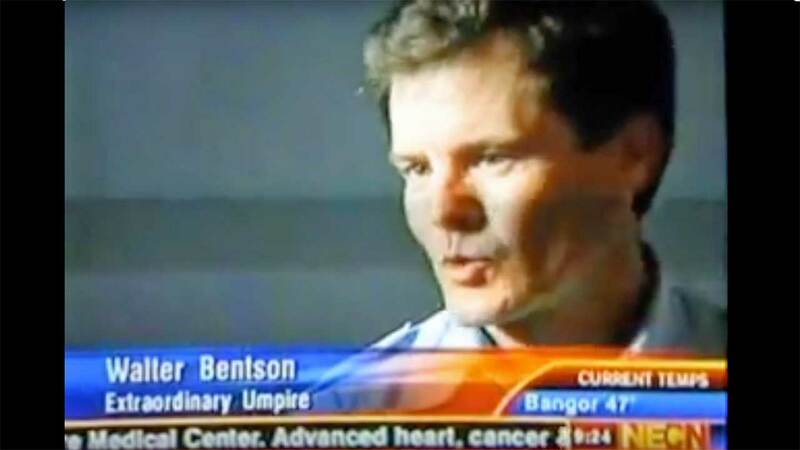 More than 100 players suited up to play, and 22 players participated the entire game, including umpire Walt Bentson. 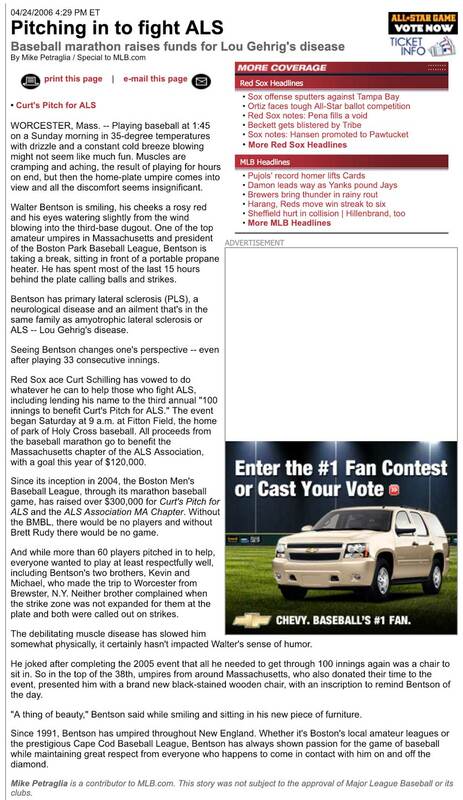 The past two years, this marathon baseball game has raised close to $225,000 for Curt’s Pitch for ALS (Curt Schilling’s charity). 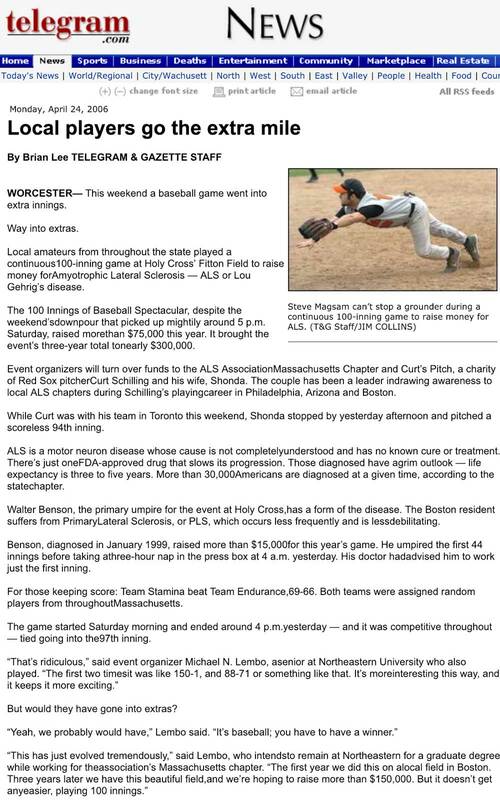 The Boston Men’s Baseball League and ALS Association is still counting funds raised from this year’s contest. Down 65-66 in the 97th inning, Matt Dumas delivered a 2-RBI single to give Team Stamina a 67-66 lead, one they would not relinquish. Team Stamina went on to defeat Team Endurance, 69-66. Dumas also had the first hit of the game, 96 innings earlier in the top of the 1st. John Silk was the winning pitcher of record. 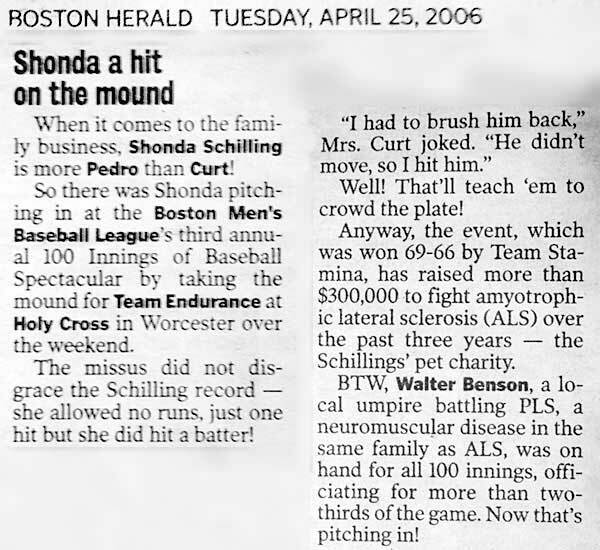 Of note, Shonda Schilling (Curt’s wife) pitched the 94th inning for Team Endurance, allowing 1 earned run off a hit batsman and a double. 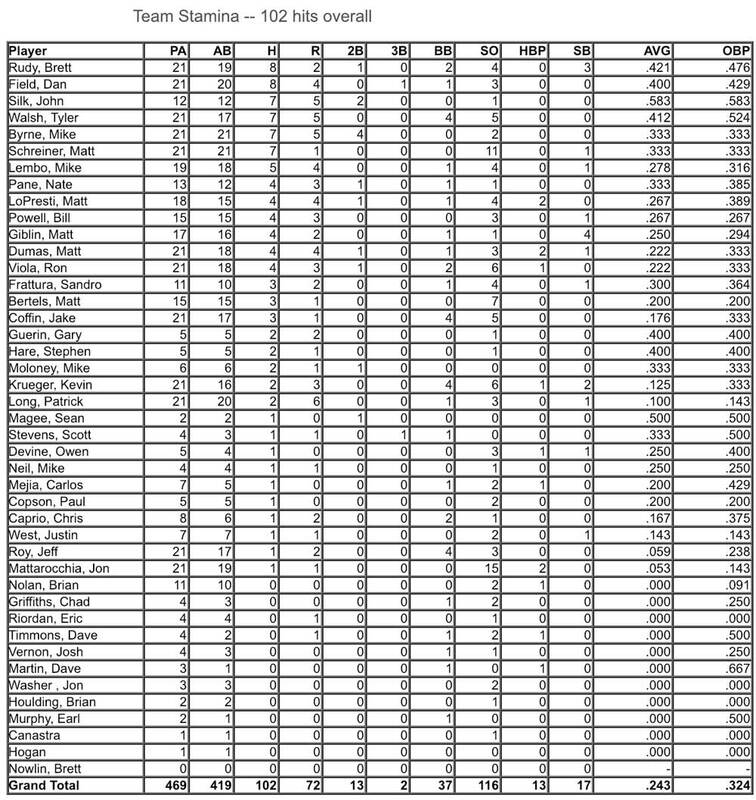 TWENTY-TWO players played in all 100 innings of the 100 Innings of Baseball Spectacular. By the time this game was completed, these players had played more innings than the Boston Red Sox had played at home their entire season. 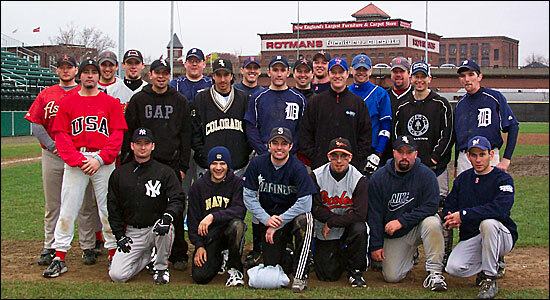 This year, 123 players signed up to participate in the 100 Innings of Baseball. 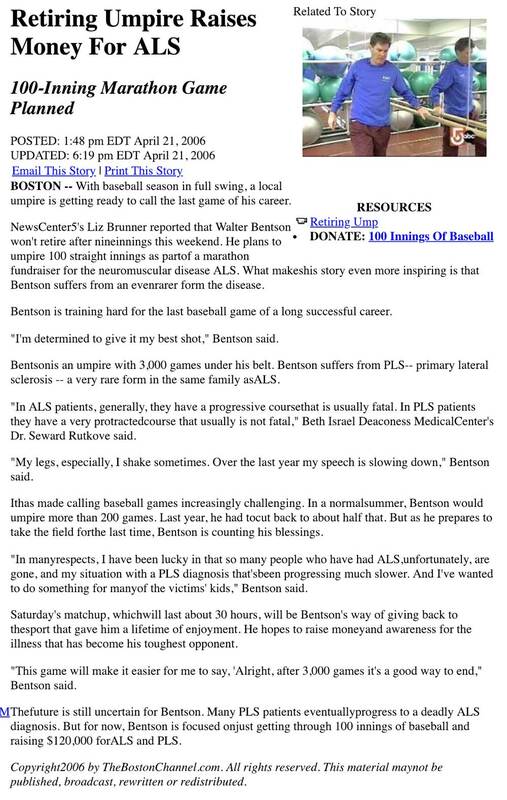 The majority of them played, and those who didn’t helped raise funds for the ALS Association MA Chapter and Curt’s Pitch for ALS. 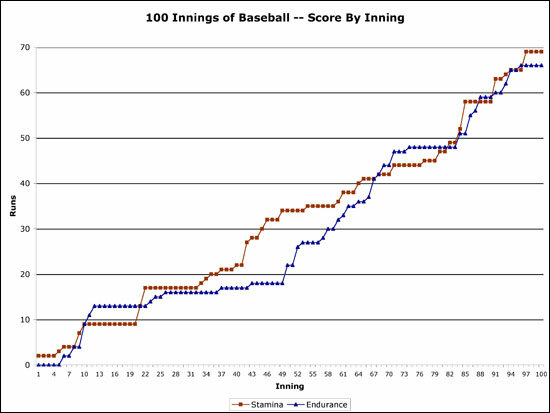 This 100 inning contest saw 9 lead changes before Team Stamina broke away in the 97th inning on a game-winning RBI by Matt Dumas. 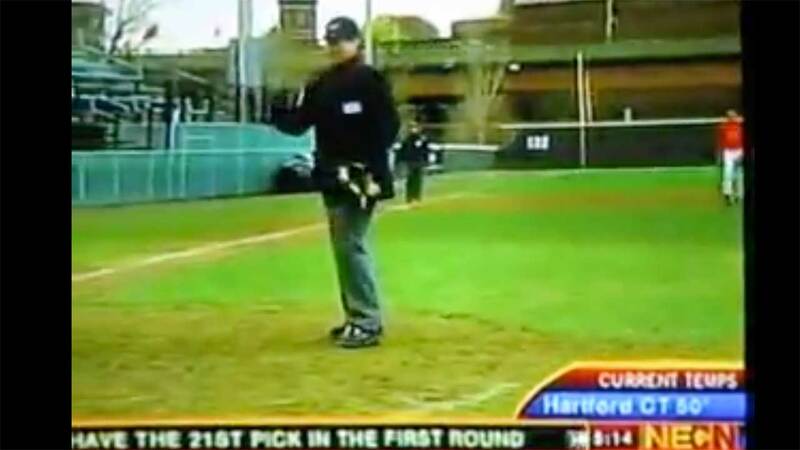 Ironically, Dumas also had the game’s first hit, 96 innings earlier in the 1st inning. John Silk was the winning pitcher of record.